Medical doctors and other stakeholders have recommended the retraining of healthcare practitioners to improve service delivery. They also suggested for improved communication between patients and healthcare providers as tool to achieving quality improvement for patients. They made the recommendations at a health symposium in Lagos. The News Agency of Nigeria (NAN) reports that the event organised by Synapses Medical Network (SMN) is themed: “Customer Service for Health Symposium’’. 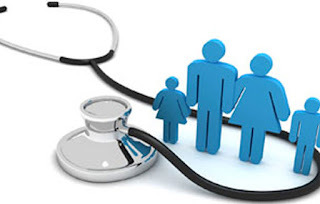 Dr Dorothy Jeff-Nnamani, the Chief Executive Officer (CEO), Novo Health Africa, an NGO, attributed the major reason of dissatisfaction among patients to the failure of healthcare providers to understand that they are running businesses. Jeff-Nnamani said most doctors erroneously believe that patients would always come to them when they are sick. She said there are three basic elements to help improve patients’ experience at hospitals. “What they see is the first element; the ambience. Does it have a feel of a clean centre? Can I be healed here? “How they feel about the place. Is it organised? Can they keep proper records? “What they hear when they are there. Also, is the doctor listening to the patient or is he taking a call during consultation? Are you communicating with the patient?’’ she said. The official therefore enjoined hospitals to be timely in delivering service and to ensure that patients are treated with respect in line with best global practice and as it is experienced in other industries. Dr Segun Ebitanmi, Chief Operating Officer (COO), Outreach Hospitals, stressed the need for good customer service experience to patients, particularly as they go to healthcare providers when they are most vulnerable. He noted that lack of patient satisfaction was one of the reasons people go on medical tourism. “Patient experience encompasses the rate of interactions patients have with the healthcare system. “That experience we don’t give them here is the biggest problem with our industry,” he said. Ebitanmi advised medical directors and managers of healthcare facilities to improve on staff attitude, beginning from themselves. “Each staff needs to understand that for patients, every second counts. “If you want to correct attitude, start by evaluating yourself,” he said. Dr Wenike Briggs, Chairman, Guild of Medical Directors (GMD), Lagos State chapter, said that patients had more confidence in the older doctors. She said it was evident on the experience they had while consulting with such doctors. Briggs also noted that customer service and the business aspects of medicine was not part of the curriculum at medical school. He urged hospitals to retrain doctors to be able to meet up with the challenges of changing trends. “The onus is on the MDs to retrain our young doctors to be empathetic and represent us well,” she said. Speaking on the event, Seyi Adebanjo, Senior Manager, Project and Operations, SMN, said the aim of the symposium was to serve as a wakeup call for healthcare providers to begin to see how to improve on their practices. She said communication and customer service were key factors that were missing in achieving the desired results. She urged healthcare providers to improve on their communication and choose the right words with patients. “Choose your words carefully. Don’t use words like, ‘I don’t know, I’ll try’. It’s either you can or cannot,” she said. Dr Lawumi Oluborode, Executive Manager, Society for Quality in Healthcare in Nigeria (SQHN), recommended for a patient complaint system that is interactive and gives feedback in hospitals. “When you have complaints, involve your patients as much as possible,” she said. She advised the medical directors to ensure that they find out how their workers treat customers.